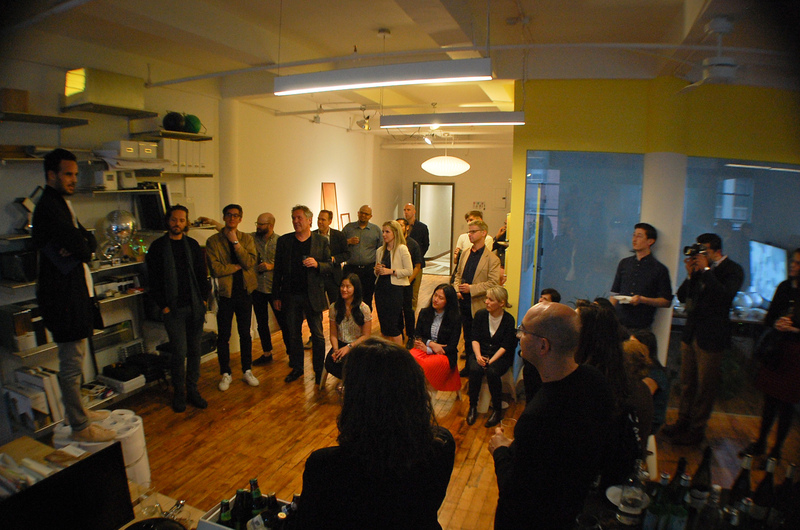 On Thursday night, our New York office opened their doors to their spring lounge, the third in the Transsolar lounge series. Once our friends and partners filled up their glasses, our featured guest Troy Conrad Therrien, the Guggenheim Museum’s curator of Architecture and Digital Initiatives, armed with his notebook, took to the soap box (or in this case, rolled up paper!). In the allotted time of 10 minutes, he posed the question of how the architectural profession conceives of itself in the age of Silicon Valley. His thoughts offered enough provocations to provide for a stimulating dialogue and exchange of ideas that lasted long into the night. 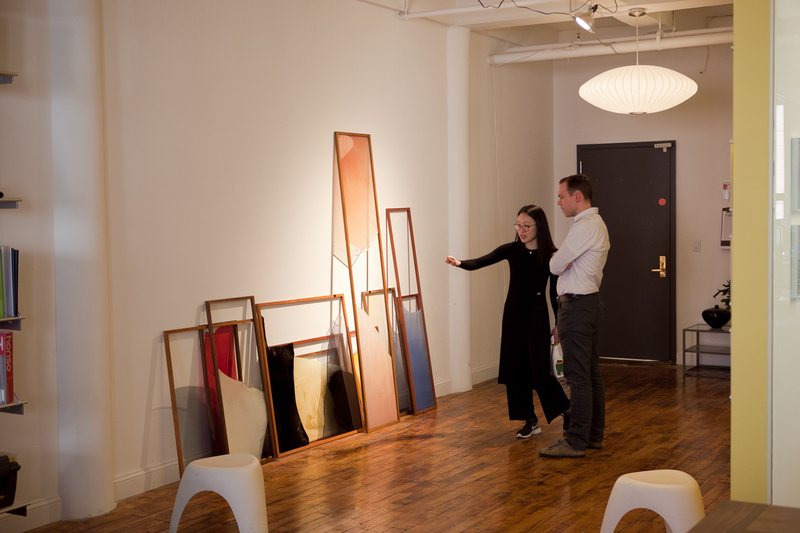 The evening also brought in a novelty – we collaborated with artist Karen Cho, who exhibited two of her works in our space. Our conference room transformed into a biotope where her ‘sea of ceramics’ was nestled amongst plants and complemented by an organic data visualization made by our very own simulation guru, Adrian. It fit right into Transsolar’s “obsession with collaboration” as Erik put it half-jokingly. We are already excited about our next lounge but that will have to wait until November!